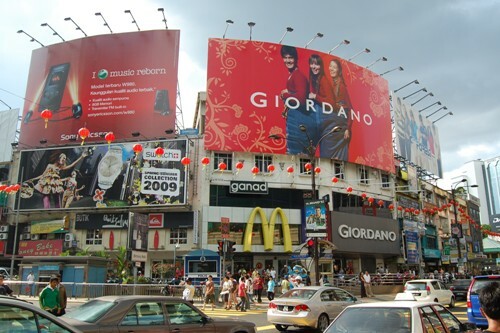 the __earthinc » Blog Archive »  Is McDonald’s no-straw policy in Malaysia credible? I rarely use plastic straws for my drinks. I am not religious about it but if I could help it, I would avoid it. I think I started doing so since at least 2010-2011, partly to allay my guilt for breaking a rule I made up when I was in college: use less paper. That is not something easy to do out there in the working world. But reduce plastic straws is way easier than reducing paper use. But in the past year or so, I have noticed that it is becoming a trend in Malaysia to reduce straw usage, at least in the greenwashing corporate social responsibility kind of way (don’t get me started on CSR and the tax system). I figure it might have something to do with a video of a poor turtle having a tough straw stuck in its nostril. The footage showed volunteers struggled to pull the straw out, bleeding the turtle in the process. The turtle seemed healthy afterwards. I would, if I had a piece elongated plastic stuck up my… erm… nose. Wouldn’t you? While the internet is a powerful tool to spread lies and conspiracy theories of no sense (like how the Ministry of Finance for somehow is banning private companies from handling haj, which is patently untrue), I suppose there are times when it is a tool to do good. Like the no-straw fad. At McDonald’s several months back, the fast food chain ran a campaign to reduce straw use. When I first noticed it, I gave it a thumb up. But after a while after understanding the new way they give out the straws, I suspect its campaign is utterly counterproductive. Why? Because instead of reducing use, it has the potential to increase its usage instead. Previously before McDonald’s ran its campaign, straw dispensers were placed in the dining area where customers could take the straws freely. Freely, but usually the number of straws taken would match the number of drinks. Those who would not use straw would simply not take it. Now, I have noticed McDonald’s have removed the dispensers. What happens now instead is that the persons behind the counter preparing, serving or delivery the meals would automatically place straws into the meal tray regardless whether the consumers would want it. No question asked. As a result of this change in method, my use of straws at McDonald’s has increased from none to at least one. I could say no and ask the person behind to counter to take it back, but the whole procedure adds a process that makes the default position as having a straw. Ironically, the previous default position (as in the presence of straw in the tray) before the no-straw campaign began was not straw. The nudge economics here is messed up that it goes against the campaign: it encourages straw use instead by setting up a new barrier to having no straw. One of those nights when I got off work late, with weary eyes and empty stomach at KL Sentral, I would have no mood to say, “Oh hello, sorry, I do not need the plastic straw.” I would like to just eat and go as quickly as possible. Damn the straws. I would not use it, but it would in the tray and it would go to the trash regardless of use. And this is a person who default position was no-straw: I am now encouraged to use the straw. Now, imagine those who do not even think of not using the straws. The default yes-straw position just discourages them from not using straws. Or in other words, the default position encourages them to keep the status quo of keeping on using straws. The economist in me wonders, how much straws are being used now versus before the campaign started. My hypothesis is, ironically, probably more just because of the change in the default position. In absence of data, I would think to make the no-straw campaign credible, I feel McDonald’s should probably revert to a no-straw default position. That is, do not give the customers straws, unless requested. p/s — I have received several feedbacks stating one of two cases: they agree with me about yes-straw default position being practiced, or that they contradict me by stating they would have to request for straws at the counter. Quite possible that some branches are tighter than others with its straw-dispensing default procedure. My personal experience at 3 branches (2 in KL and one elsewhere) is that of the former case.